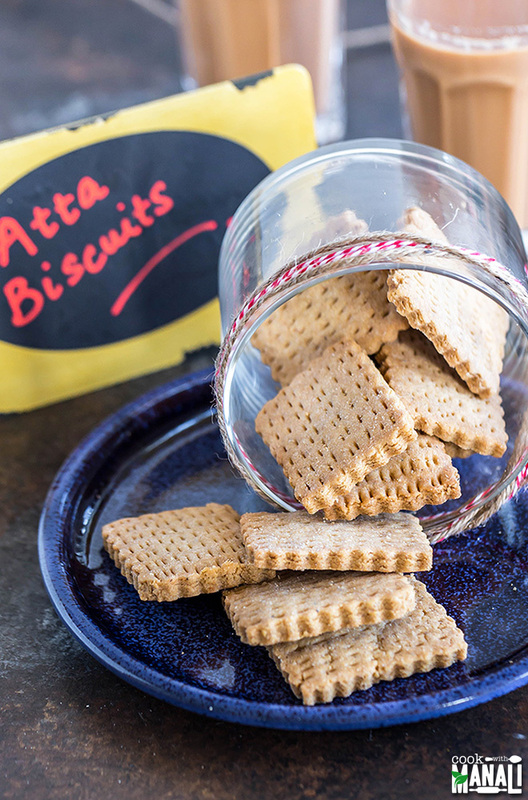 These Atta Biscuits are perfect for a snack or treat after dinner. Line 2 baking trays with parchment paper and set aside. In a bowl whisk together atta, cardamom powder and nutmeg powder. Set aside. In another bowl, whisk together melted ghee with sugar until well combined. Add 3 tablespoons of milk and stir. Add the dry ingredients into the milk, ghee, and sugar. Add the atta in 2-3 parts to combine properly. Use your hands to mix everything together to form a dough. Cover and refrigerate for 15-20 minutes. Remove the dough from the refrigerator. Using a rolling pin, roll it evenly. As you roll the dough it might break apart, you may add a little milk if it does, just keep pressing and bringing the dough together from the sides as you roll to keep it together. Using a cookie cutter, cut the dough into cookies about ¼ inch thick. Keep rolling and cutting cookies until you are done with all the dough. Place all the cookies 1 inch apart on the baking trays. Bake at 325 F degrees for 22-25 minutes or until the biscuits are light golden brown in color. 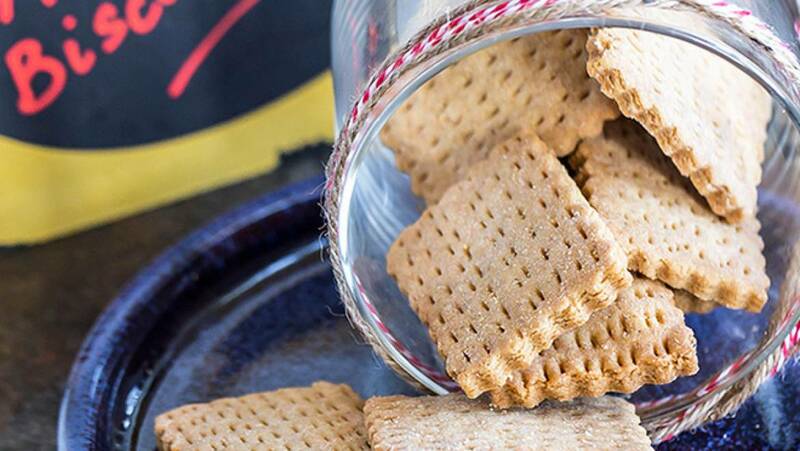 Cool on wire rack and then store atta biscuits in an airtight container.